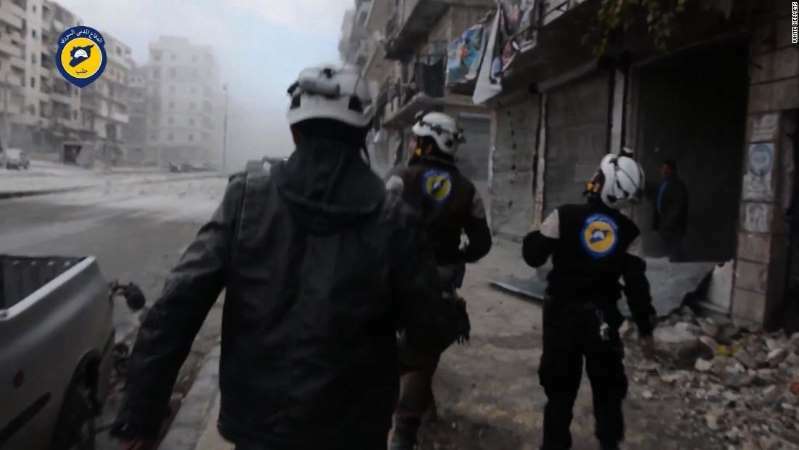 An explosion killed 36 people Sunday in the Syrian town of Sarmada, near the Turkish border, according to the White Helmets, a Syrian volunteer force. Women and children were among the dead, the United Kingdom-based Syrian Observatory of Human Rights reported. The group said the explosion took place at the bottom of a building that housed ammunition in Bab al-Hawa Square. [post_ads]"With no end to the carnage in sight, 36 dead civilians and dozens of wounded are the current count of victims," the White Helmets said on Twitter. It is not clear how the blast occurred or who is responsible. The White Helmets said that their volunteers rescued 10 people from the rubble of the explosion and they "are working tirelessly, searching and rescuing, in unbelievable areas of destruction and death." The White Helmets were founded in late 2012 and early 2013, growing from a few dozen to several thousand members. The group responds to aid and rescue other civilians when an explosion, fire or other attack occurs. The White Helmets has operated in opposition-held parts of Syria throughout Syria's seven-year civil war. They are considered a terrorist organization by Russia and the Syrian regime.